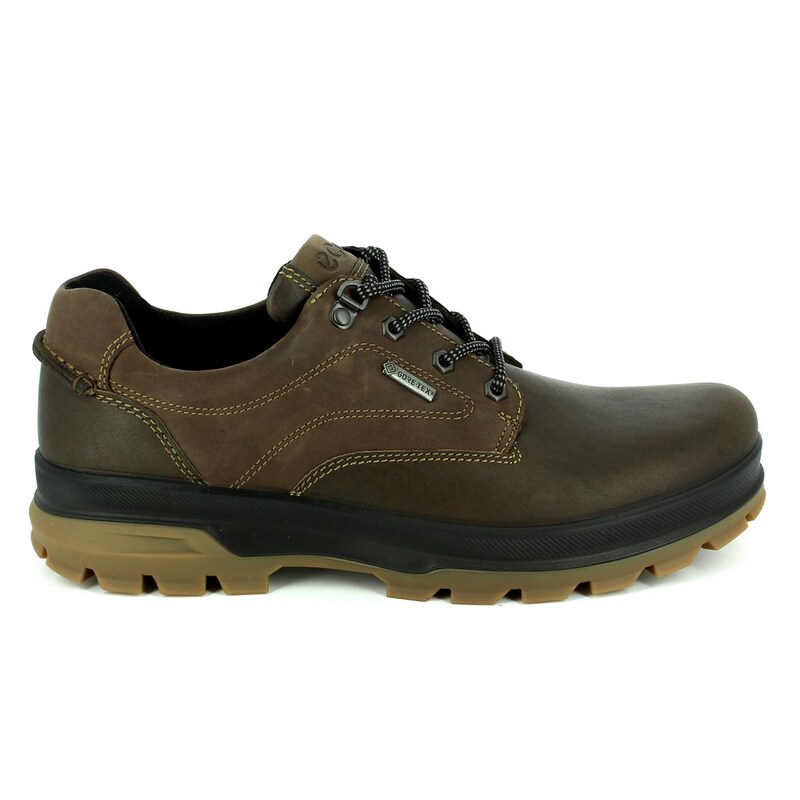 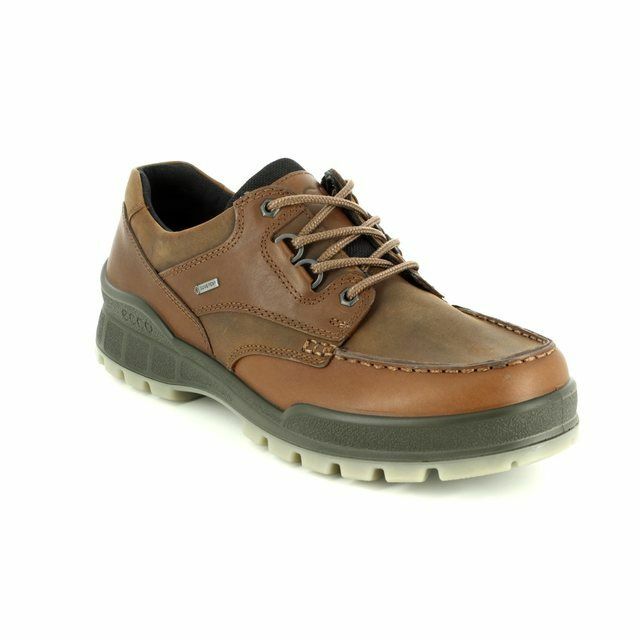 These ECCO GORE-TEX men's casual shoes are rugged by name, rugged by nature. 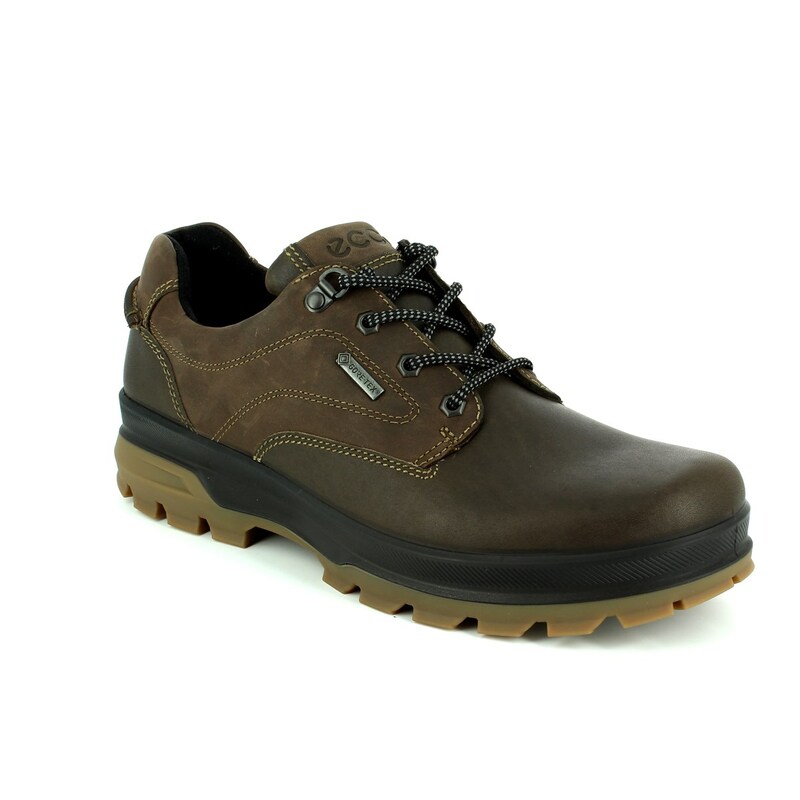 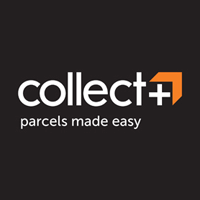 The cleated, dual density PU/rubber outer sole is perfect for the outdoors lifestyle and makes this a great durable shoe for on the go customers. 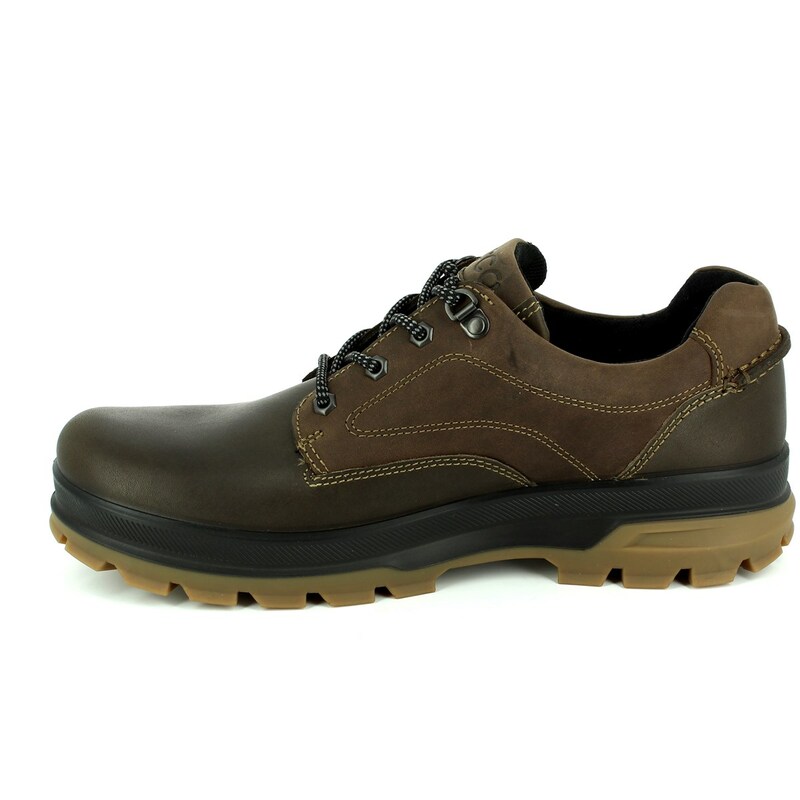 The sturdy PU and rubber sole is tough with a superior tread, increasing shock absorption and traction over varied terrains. 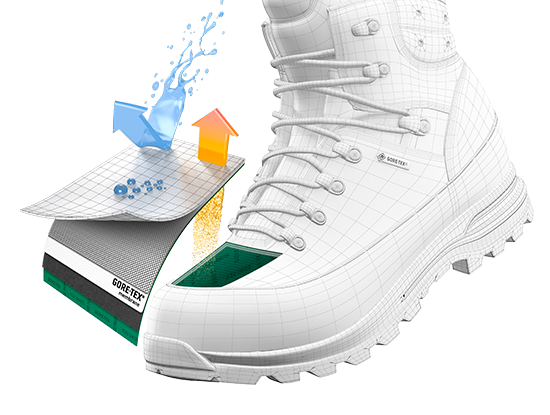 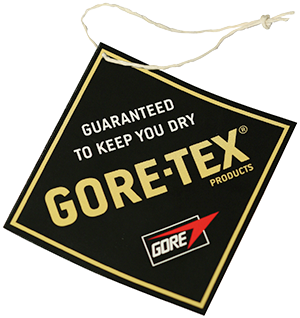 The addition of the GORE-TEX membrane ensures a dry foot in wet weather, and the breathable textile lining and leather lined insole keeps a healthy environment inside the shoe and increases air circulation. 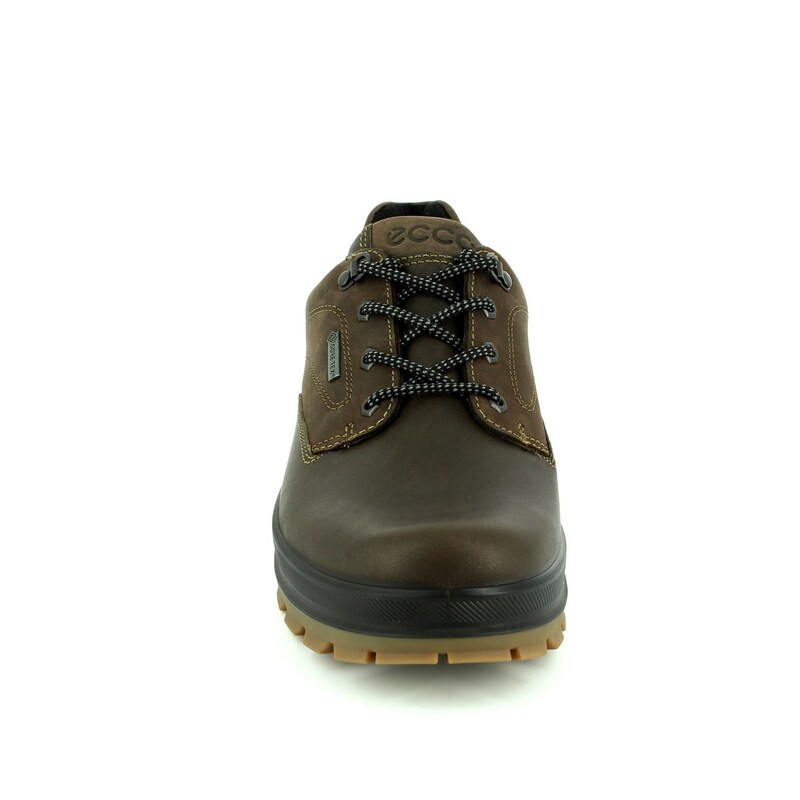 These ECCO men's shoes are ideal for outdoor work or casual weekend wear.